When I started working on Hyperion, most my projects were relatively small compared to the projects I have been doing the past 3 years. Now projects are over a year long with 2, 3, 4 phases and most of the times include Essbase, Planning, DRM, ODI to name a few of those tools. 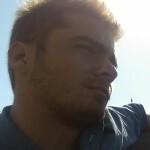 The bigger the project, the more complex the requirements around automations are, and one thing that I always find myself needing is the ability to leverage the values of Essbase substitution variables in SQL. SQL Essbase load rules can of course leverage Essbase substitution variables but sometimes you still need those subvars anyway. One example would be loading data in Planning using the outline load utility. Let’s say the value for the Scenario is part of the POV column of the data to be imported and the Scenario value is defined through an Essbase variable. For those reasons, I had to find a way to get those Essbase subvars into SQL. I’m sure it’s been done already but when i first started looking at this a couple years ago, I couldn’t find much on this. Before you start, you will need ODI and know how to import data from a delimited file into a SQL Table. The third statement will display all existing Essbase Substitution variables in 4 columns. The second statement defines the location of the file where the output of the MaxL session will be written into. The first statement defines the width in characters of each column in the export . This can be increased or lowered. I set it pretty high just in case some of the subvars or values of these subvars end up being really long to prevent the export from being incomplete. Each of the 4 columns (Application, Database, Variable, Value) will have a width of 250 characters in this case. OK/INFO – 1241044 – Records returned: . Now that we have our variables exported. The number of characters for each will vary if you use a different column_width setting in your maxl script. 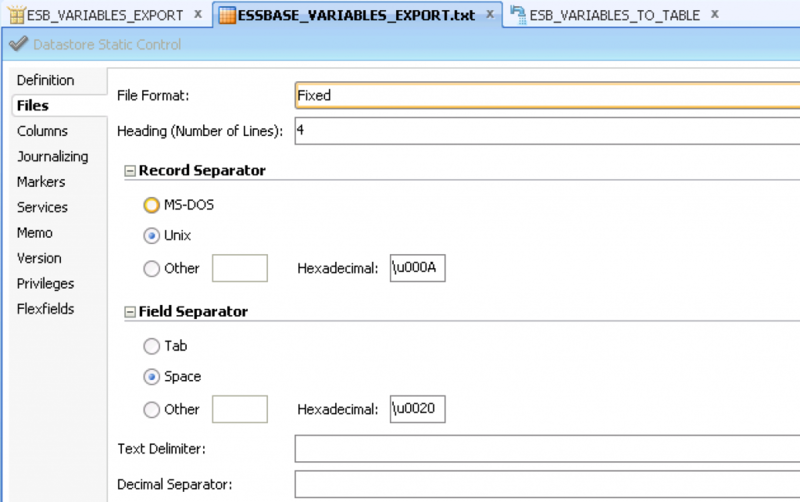 2) Create a new Datastore for the SQL table created ESSBASE_VARIABLES. Run the interface and check the ESSBASE_VARIABLES table. Make sure rows from the txt file have been inserted. If you are on latest, you can use the new Maxl set commands to get a perfect output. Thanks Celvin! Will look into that when I get a chance! Just saw your comment today. Thanks for visiting the site Celvin. Sorry we never met while you were still at Huron. Perhaps we’ll cross paths at some point in the future.